and a turquoise frame. gasp! Do you ever get carried away with a project? My husband would answer that question for me... "every. single. day. " Jenni, Yeah I get carried away with paint all the time. But I love the colors you've used. They are so happy! Also love the matroishka post. I have a set my brother gave me and I love them! Only creative people get carried away, so it is a good thing. I love what you do with color. I miss you Andrea! I love what you do with yarn! I hope you have one of those gizmos that holds the button on the can down! That's a week of ambition in one fell swoop! Pink owls! Love it! I don't have one of those... never even heard of it. Thinking about painting kitchen chairs today... i must check it out! Hi Jenni. I saw you in Sandy's sidebar and had to come look at your blog! 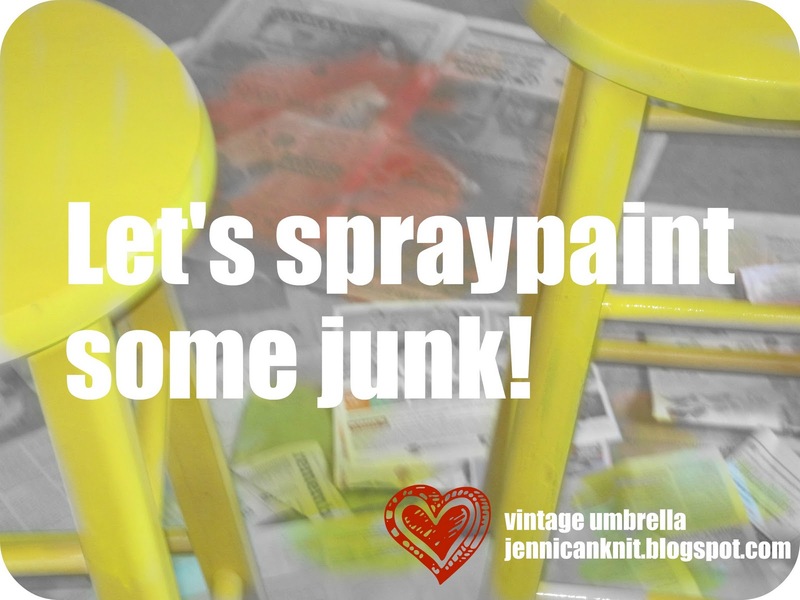 And I, too, am a spray paintaholic. Let me know if you find a 12 step program for it! I *heart* spraypaint! Got in big trouble for spraypainting the front yard! Not on purpose....just the overflow, but I was on such a roll that I didn't notice!